The e-tourist visa, introduced in September 2014 with 46 countries, has now been made applicable for 166 countries, a statement from the Tourism Ministry said Friday. Recently, government has made series of amendments in the e-visa regime, liberalising it further and making it more tourist friendly. According to the statement, the modifications include an increase in the duration of stay in India of e-tourist and e-business visas to up to one year with multiple entry subject to the stay stipulations. This was earlier limited to 60 days with double entry. The existing restriction of allowing foreigners for a maximum of three times has also been removed. 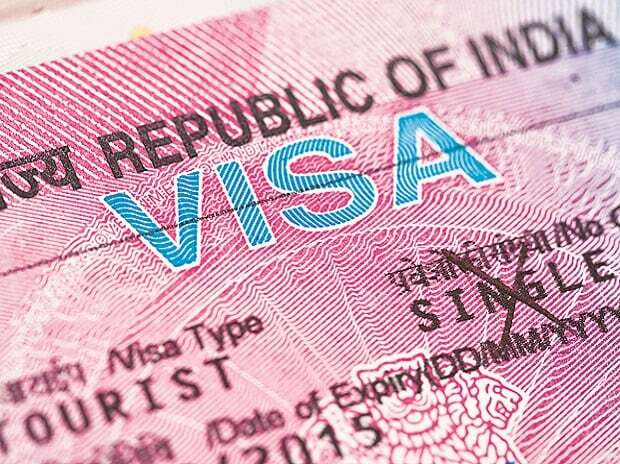 Someone with e-tourist visa can now stay continuously for each visit for 90 days in case of nationals of all countries who are eligible for grant of e-visa except nationals of US, UK, Canada and Japan, who can stay for 180 days. This was previously limited to 60 days. Those with e-business visas can have a continuous stay during each visit not exceeding 180 days in case of nationals of all countries who are eligible for grant of e-visa. No registration (with FRRO/FRO concerned) will be required if the stay is for a period of less than 180 days. This too was limited to 60 days before. E-visa is valid for entry through two more designated Airports-- Bhubaneswar and Port Blair-- raising the total number of such airports to 28. Foreign nationals who fall sick during their stay in India can now avail medical treatment without converting their visa into medical visa. This would take care of sudden medical emergencies, the statement said. Visa-on-Arrival facility has now been extended to the nationals of Republic of Korea, it added. "The Ministry of Tourism has been working very closely with Ministry of Home Affairs for easing of the visa regime in the country over a period of time," the statement said.